Customers are finally able to order burgers while they shvitz. Finland is largely considered the sauna capital of the world. In 2013, the country contained 5.3 million people and 3.3 million saunas, according to the BBC. Now, thanks to Burger King, the country just got one more. The fast-food chain finally ditched its old catchphrase “Have It Your Way” back in 2014, but according to Metro, an outpost in Helsinki is taking customer service to new heights with the debut of a fully-functional spa inside its restaurant. 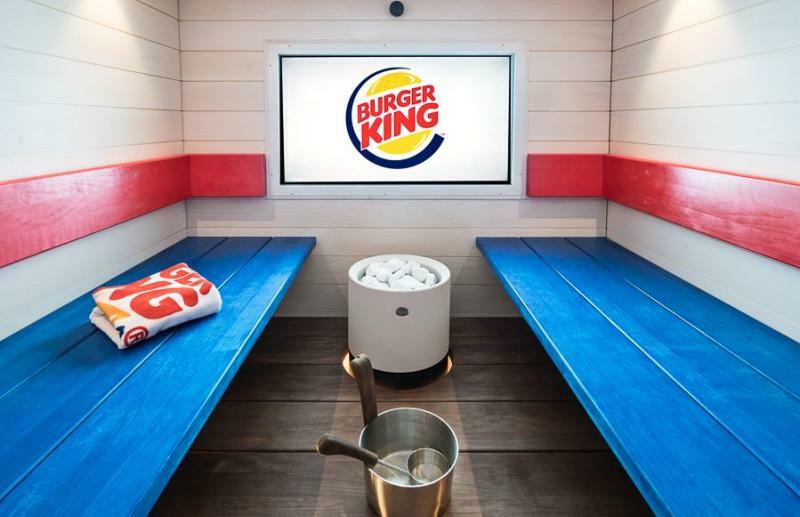 Fittingly, BK’s spa features a 15-person sauna, as well as a 48″ TV, a shower and locker room, a media lounge, and an even bigger 55″ screen equipped with Playstation 4. 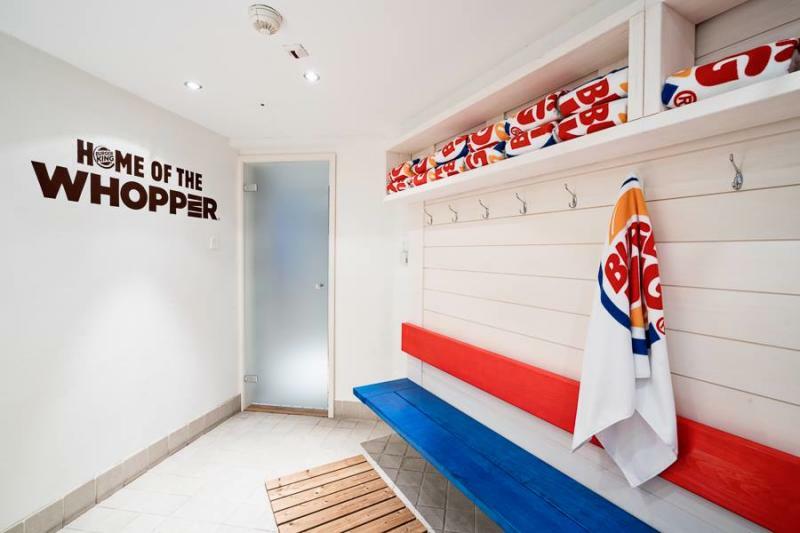 According to the restaurant's website, three hours at the spa will run you €250 (roughly $280, USD), but customers are able to order burgers while they shvitz and apparently help themselves to a wide-variety of BK-branded towels. Still, the Helsinki franchise isn’t the first restaurant to combine food with relaxation. In Japan, diners are able to literally bathe themselves in bubbling vats of ramen.